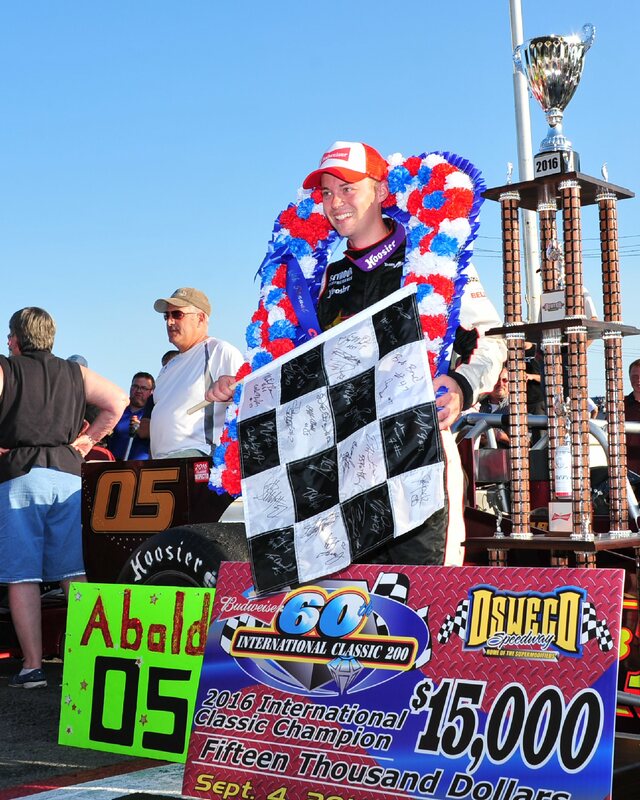 Oswego Speedway's 2016 Budweiser International Classic 200 champion Jeff Abold will appear at Destiny USA's Pole Position Raceway LIVE this Tuesday in Syracuse. OSWEGO, NY – Pole Position Raceway is once again putting on its Pole Position Raceway LIVE 5-week racing series at their Destiny USA location in Syracuse, Marketplace Mall in Rochester, as well as the Walden Galleria in Buffalo with live streaming radio and podcasts available each week. Oswego Speedway’s 2016 Budweiser International Classic 200 champion Jeff Abold will appear at Destiny USA’s Pole Position Raceway LIVE this Tuesday in Syracuse. Longtime racing voice Paul Szmal will host an hour-long motorsports radio show with live streaming through Finger Lakes News Radio at select events through the series. The show will feature the latest news from the motorsports world, live play-by-play of the night’s main event, and iconic guests from the motorsports world. Szmal will be live on location at Destiny USA for round three of the series on November 15 at 6 p.m. with Oswego Speedway’s 2016 Budweiser International Classic champion Jeff Abold. 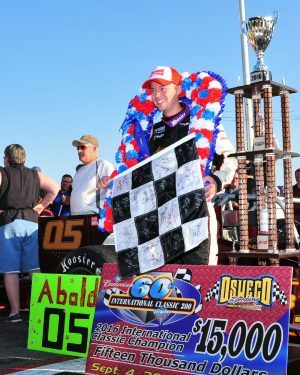 Abold, who won his first career Novelis Supermodified main event at Oswego Speedway in June of this year, made a dramatic last lap pass on a fuel starved Dave Shullick Jr. to win the International Classic 200 on Labor Day Weekend, worth more than $15,000. Abold would go on to finish fifth in the overall Novelis Supermodified driver’s championship this season behind the wheel of his Team Abold Racing No. 05, and is one of several drivers eyeing a 2017 series championship. For more information on Pole Position Raceway and Pole Position Raceway LIVE be sure to visit online at www.polepositionraceway.com and take time to visit your nearest location including the Destiny USA track located at 9090 Destiny USA Drive. The full 2017 Oswego Speedway event schedule will be available in the coming weeks. Full Speedway ticket information and questions can be directed to the Speedway box office at (315) 342-0646. For more information on Oswego Speedway, visit www.oswegospeedway.com or like on Facebook at www.facebook.com/OswegoSpeedway or follow on Twitter @OswegoSpeedway.